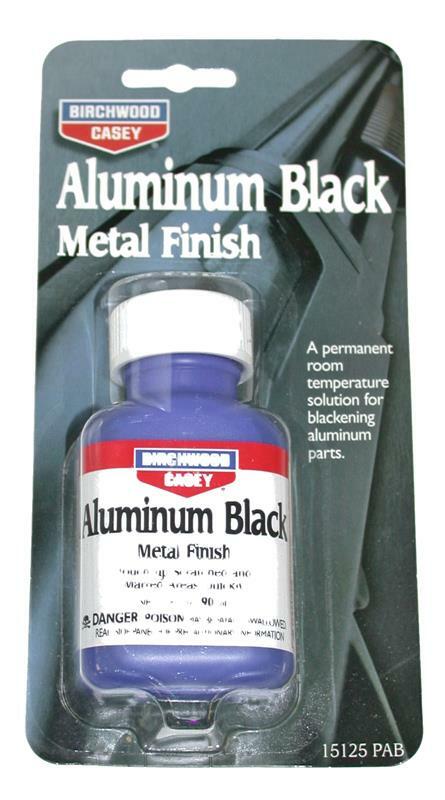 Fast acting touch-up liquid to blacken aluminum surfaces or parts. Color may vary depending on alloy being treated. Manufactured by Birchwood Casey, 3 fluid ounce bottle. Shipped UPS Ground Only.